The latest news from the International Finn Association. 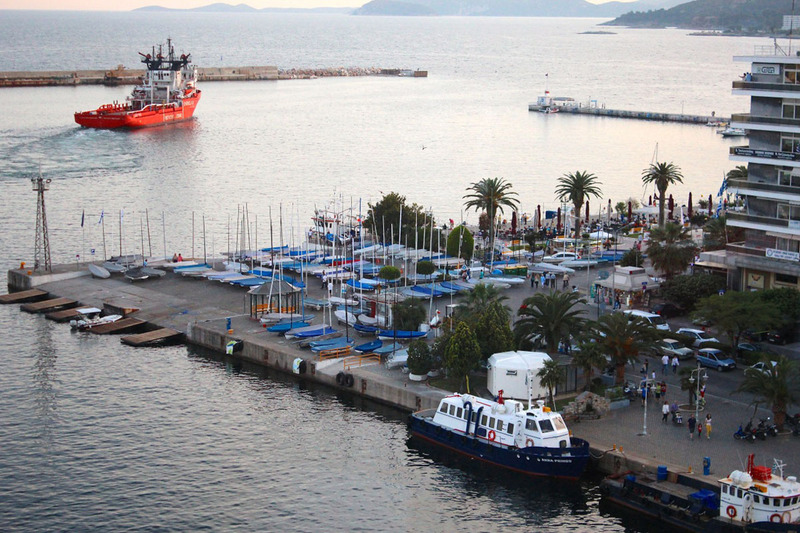 In a fantastic opening ceremony reflecting both Finn class and Greek culture, the 2015 Finn World Masters in Kavala, Greece was declared open on Saturday evening. It was a very warm welcome in a warm climate with the stage set on the quayside overlooking the race area.The massed crowds were joined by class and local dignitaries including the Mayor, the Deputy Regional Governor and three members of the Greek parliament. It is an understatement to say that the Finn Class has received an exceptionally warm welcome in Kavala. Half of the main waterside street has been closed to traffic to create a dinghy and trailer park in the centre of town. Finns are littered everywhere, mainly in front of the bars that flank both sides of the street. 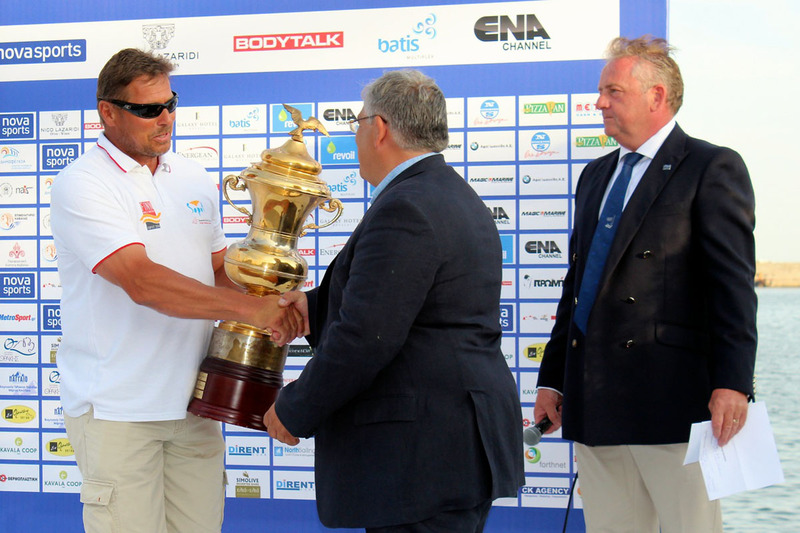 Nova Sports, a national TV company and sponsor of the event was also present filming the ceremony and interviewing sailors and dignitaries for broadcast across Greece. Kavala is located in northern Greece on the Bay of Kavala, across from the island of Thasos, in the north of the Aegean Sea. The sailors have so far enjoyed nice breezes in temperatures in the high 20s. Sailors and boats starting arriving more than one week ago and preparation is in full swing ready for the start of racing on Monday. 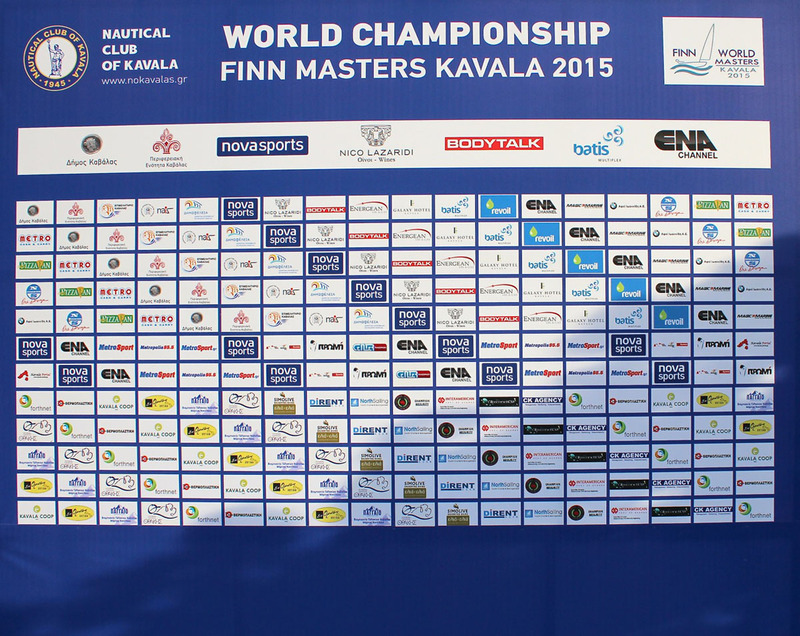 Andy Denison (GBR), President of the Finn World Masters replied, "The Finn World Masters is deeply grateful for the most generous and warm hearted welcome. We are overwhelmed by your hospitality and we thank you from the bottom our hearts. I hope this is a gateway for future events for you as there has been fantastic enthusiasm by everyone here to welcome us and and it seems the whole town is keen to host the sailors.” Then last year's winner Michael Maier (CZE) was asked to come on stage present Mr Keramidas with the winner's trophy to be kept in safe keeping until the conclusion of the championship next Friday. 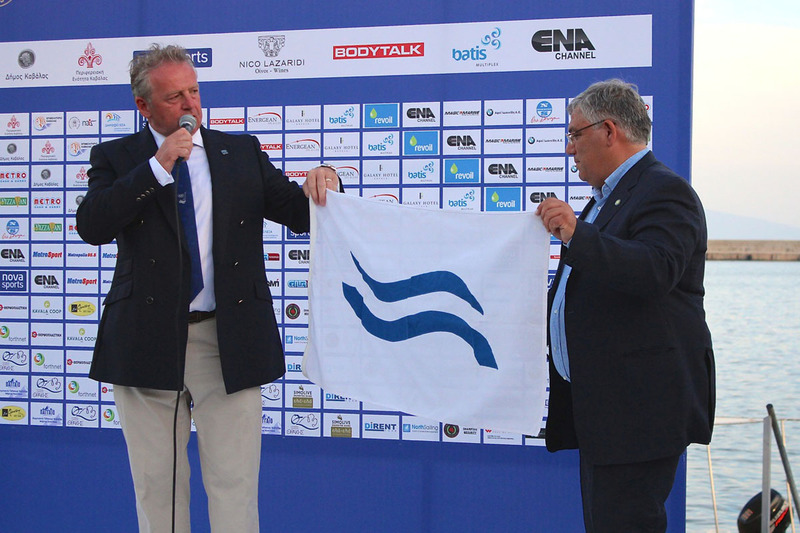 Then Andy Denison handed over the Finn Class flag to Kostas Keramidas to officially declare the championship open. Everyone then moved to the nearby Galaxy Hotel for a lavish Welcome Party which lasted well into the night. 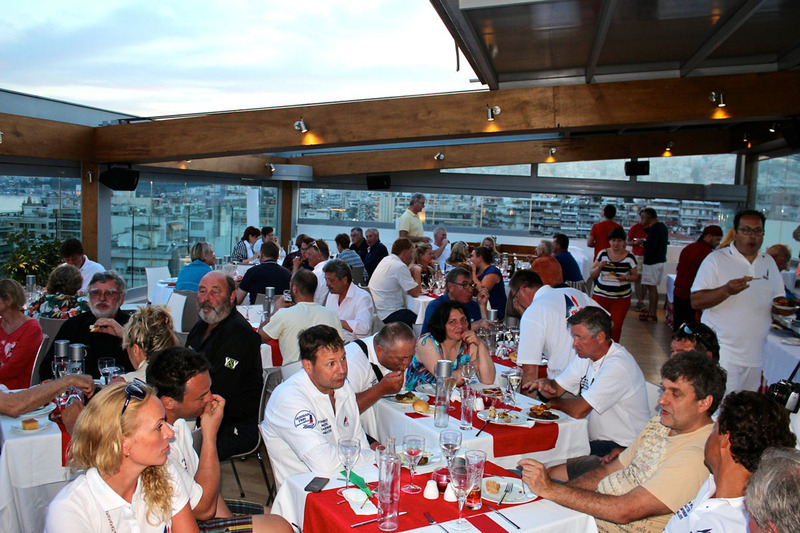 The pre-entry list contains 244 sailors from 27 nations. Equipment inspection and registration concludes on Sunday, with a practice race scheduled for Sunday afternoon. Then from Monday to Friday, eight races are scheduled, including a medal race for the Top Ten Plus (top 10 plus those on equal points with tenth) as the finale. Copyright © 2015 International Finn Association, All rights reserved.